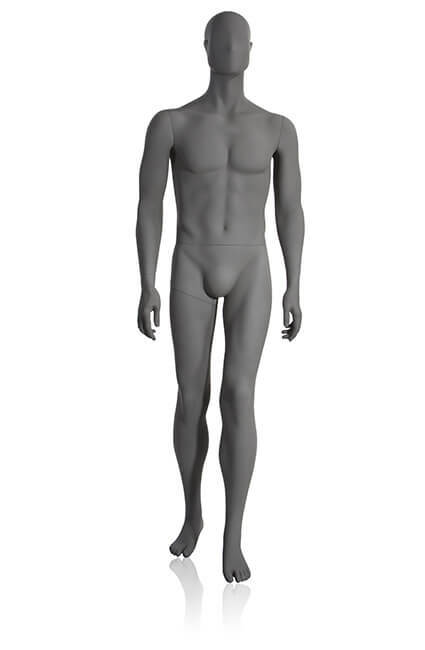 Male Headless Pose. 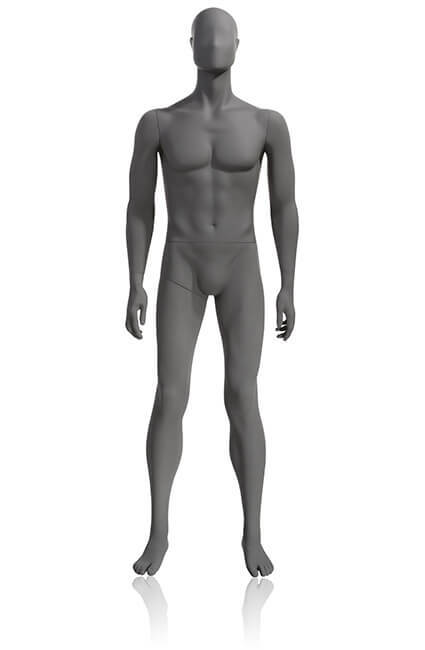 Legs straight with arms straight down at side. 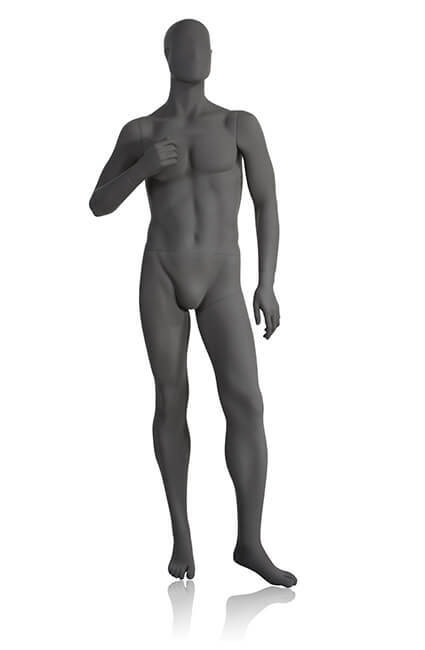 Headless items can accept hat domes as a customized option – Headless items do not come with intake for hat dome. 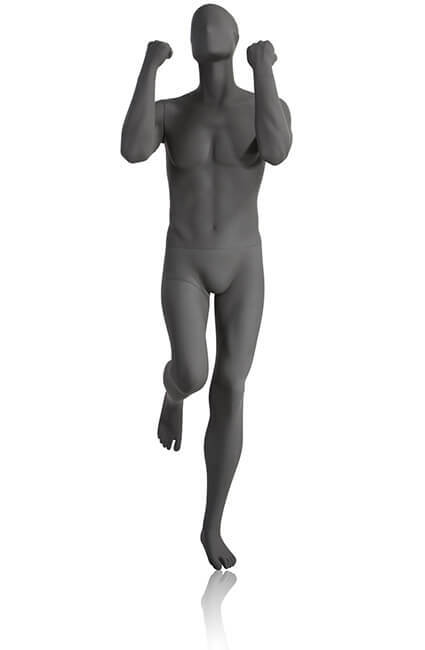 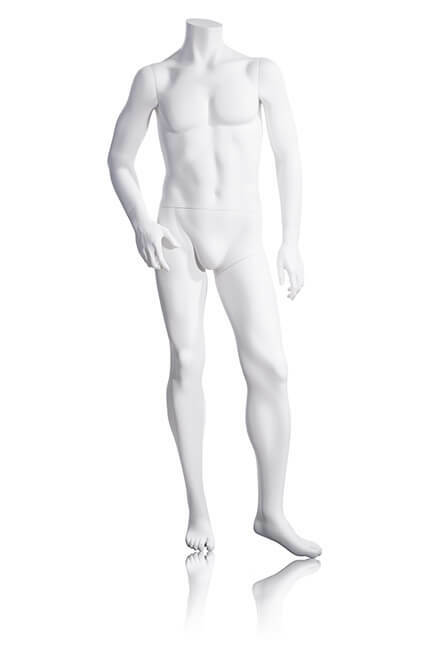 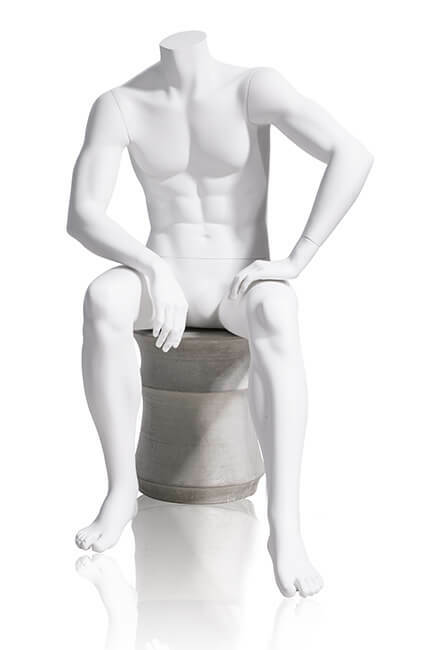 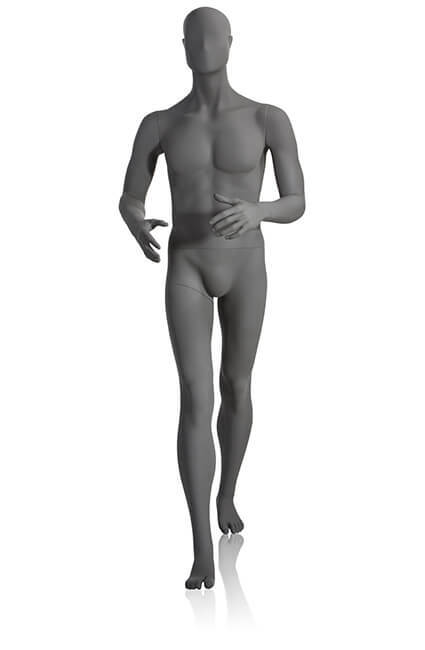 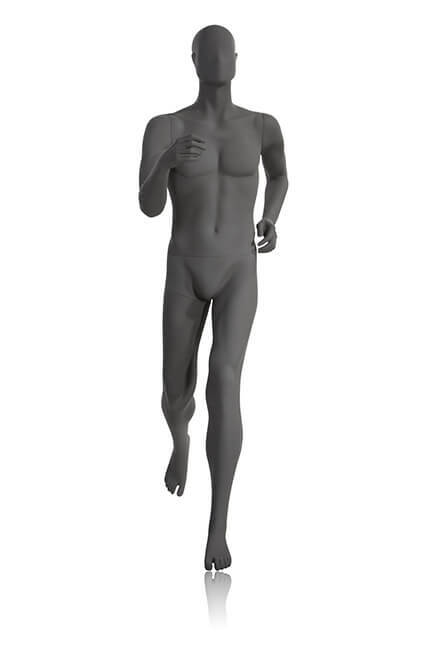 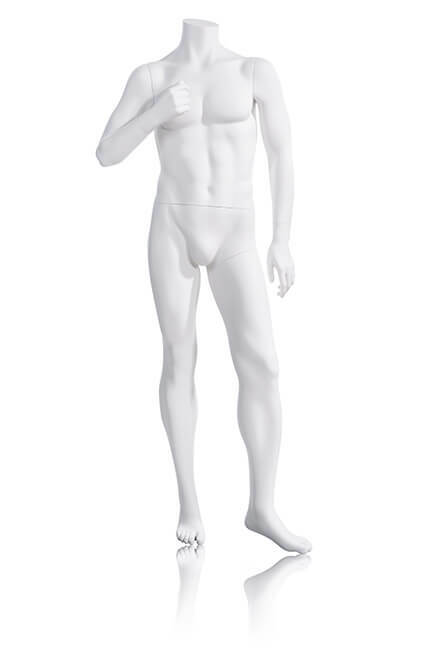 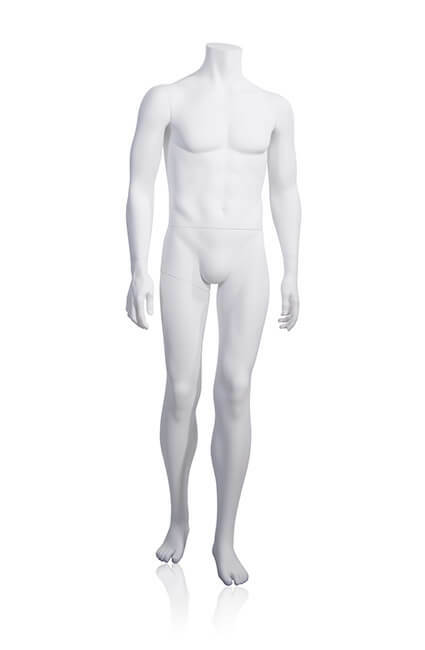 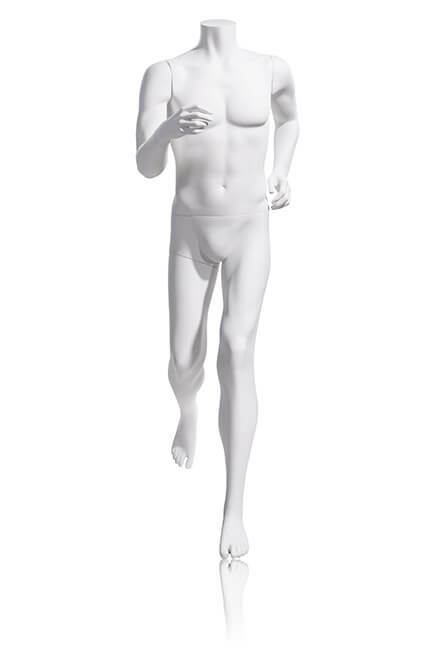 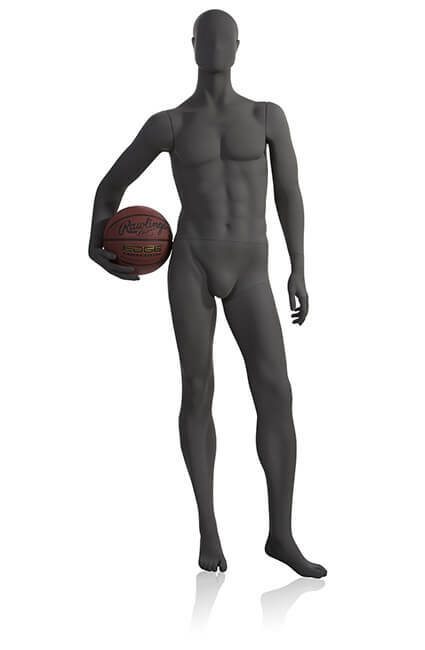 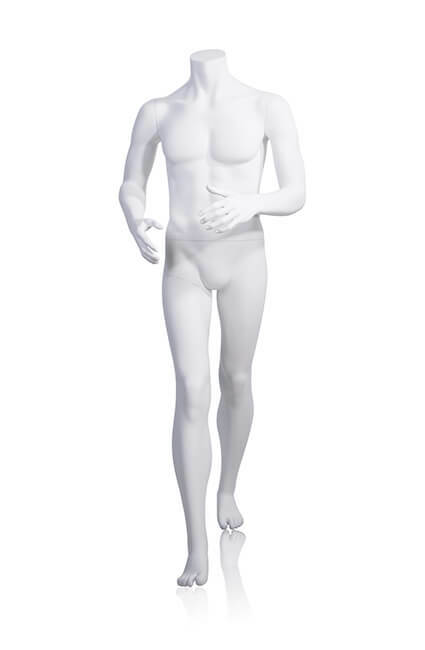 All bases for standing mannequins are 16″ metal bases with satin chrome finish. 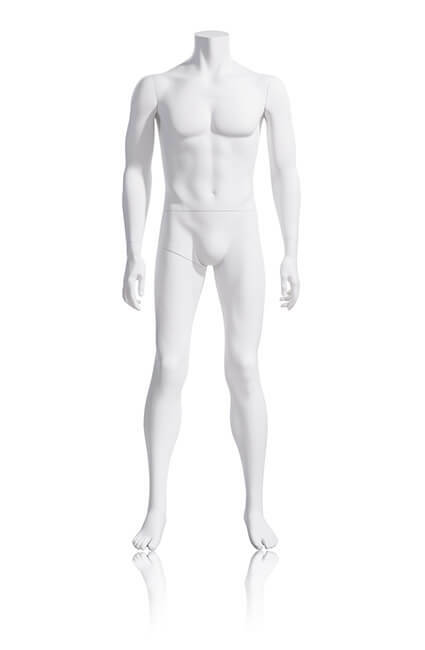 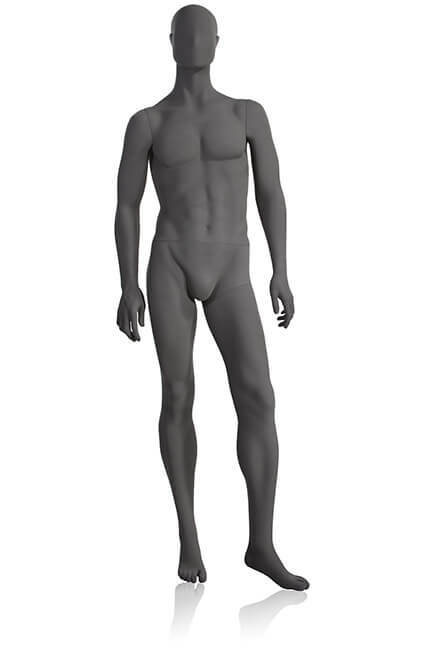 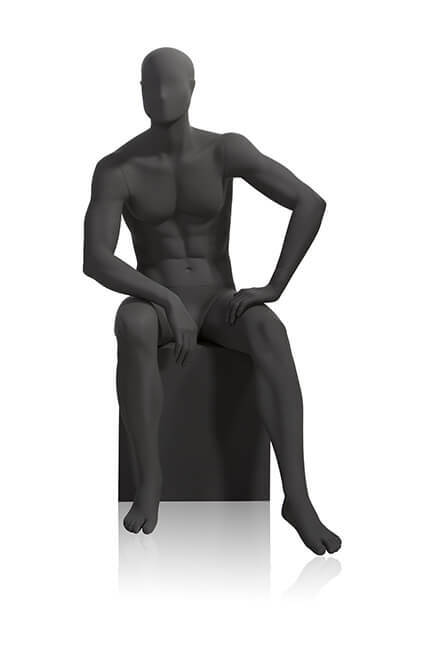 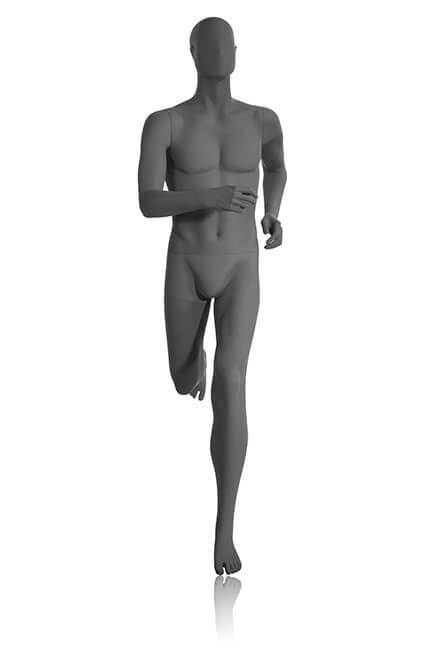 All standing mannequins come with standard height calf fitting, standard foot fitting and boot fitting (15″ calf fitting). 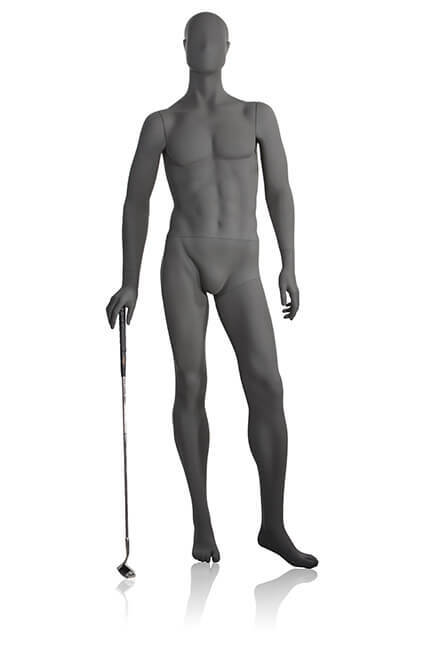 All standing mannequins come with thumbscrews for calf fittings.